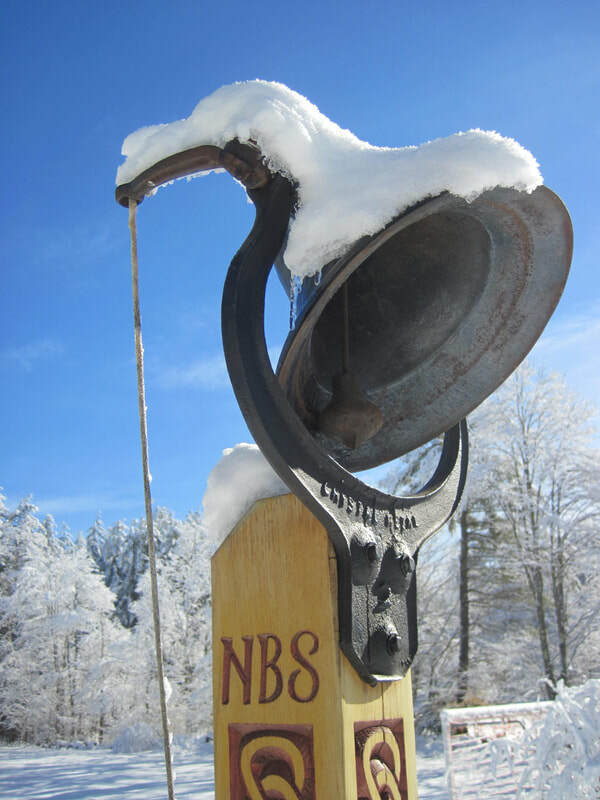 The North Branch School, founded in 2001, is a non-profit, independent school serving middle school age children (grades 7-9). The school is officially recognized by the State of Vermont and meets or exceeds all licensing standards. The school is a 501 (c) 3, tax-exempt entity. The North Branch School was founded by parents who shared a vision of a small school tailored to the unique needs of early adolescents. The founding philosophy is centered on a school concept that promotes self-directed and active learning, incorporates students’ emotional, intellectual, and growth issues, emphasizes experiential and outdoor education, and fosters a strong community based upon close student-teacher-parent relationships. With twenty-seven students and a low student/teacher ratio, The North Branch School has the ability to build a flexible, personalized and engaging environment. The curriculum is designed as a three-year experience encouraging a safe, intimate learning community in which students can make the important transition from the elementary grades to high school. Middle school-age children undergo tremendously complex and exciting cognitive, psychological, social, and physical changes. The North Branch School is committed to using those changes as an organizing touchstone throughout the curriculum—as a way of educating the whole child and making school relevant to heart, mind, body and soul. The name of The North Branch School derives from the brook of the same name originating in the watershed below Robert Frost Mountain, near Ripton. From there it feeds into the Middlebury River, flowing west and north to Otter Creek and finally into Lake Champlain. As a rising spring gathers and grows to become part of a larger body, the North Branch suggests a sense of motion and confluence, a place of origin and a place of coming together. We see the school as a nourishing element, a way station on a vital journey, a process of living and learning that deepens and broadens in time. Our schoolhouse is located in Ripton on the Lincoln Road, 9/10ths of a mile from the Ripton General Store/Rte. 125, and just across from the Ripton Elementary School. The school building is a recycled 1850 post-and-beam farmhouse and was re-erected on our site in the summer and fall of 2003. Designed to allow expansion, we added a wing to the east in 2008. The building is sunny, open and accessible, and divided into various spaces, including two offices, a large meeting/classroom/big-room, a science room, a math room, two bathrooms, and a full basement/workshop/clay studio. The school is in a secluded wooded setting and has a large playing field and student built nature trails, bird path, ponds and gardens in the woods. Alas, we do not have a gymnasium or a swimming pool. LIFE IS THE SCHOOL - The North Branch School, Ripton, Vermont from Vermont Folklife Center on Vimeo. As parents, we try to do right by our children. Sometimes we miss the mark and other times we really get it right! Our decision to have our son, Ben, spend three invaluable years at the North Branch School is a decision we will never regret. As both casual observers and from having first-hand knowledgeof the creative chaos that is NBS's secret to success, we witnessed something very special. Through the extensive writing, critical thinking, and close connections that are formed within the small school, Ben found the challenge that he needed. As a parent leader for the two significant annual expeditions: the overnight winter ski and the 9th grade Long Trail backpacking adventure, I can testify to the value of the introspective learning and the bonds formed during these physically and intellectually challenging trips. Students build a foundation of leadership, compassion, inner strength and confidence. They evolve from being timid 7th graders to fully capable, empathetic, citizens of the world.